CENTRE FOR THE AESTHETIC REVOLUTION: MEETING FRANCAISE MASCHIC, ONE OF MY FAVOURITE BLOGGERS IN LOS ANGELES! MEETING FRANCAISE MASCHIC, ONE OF MY FAVOURITE BLOGGERS IN LOS ANGELES! 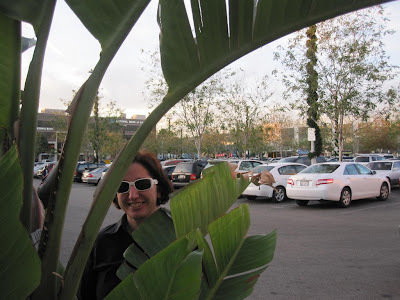 Francaise Maschic, the mysterious French-LA blogger photographed in an America Tropical landscape, banana plant and parking lot! I wish I was as articulate, critical and intelligent as her!